I’ve had a quiet year. This was a conscious choice, as my cancer treatment and management have nudged far more than I would like into my diary space, and I took a retreat to really enjoy the process of writing poetry for my MA in Creative Writing with the Open University. It provided the most wonderful escape from the world of hospitals. Now it’s beginning to bear fruit. I’ve submitted my final portfolio for the MA (awaiting results in December!) and am hoping that this will become a published collection of poems in early 2019. 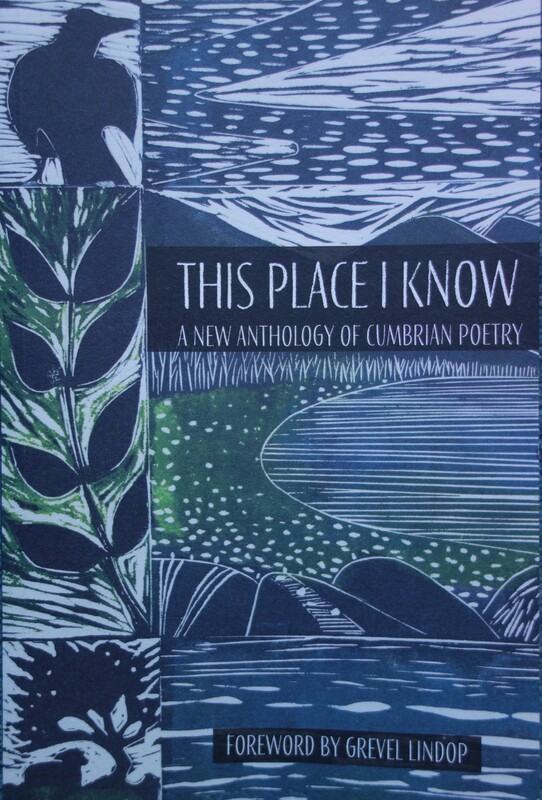 In the meantime I have also had poems selected for Speakeasy Magazine and a new anthology of Cumbrian Poetry, This Place I Know published by Liz Nuttall at Handstand Press in Dent, and edited by Liz, Kerry Darbishire and Kim Moore. There have been several launch events, and I was able to attend the one at the Kendal Mountain Literature Festival on Saturday 17th November. And what a wonderful event it was, with varied readings from poets new and well known and some interesting questions and discussion points including ‘What makes a Cumbrian poet?’. There are certainly a lot of us – 92 in the anthology, and many more round and about. 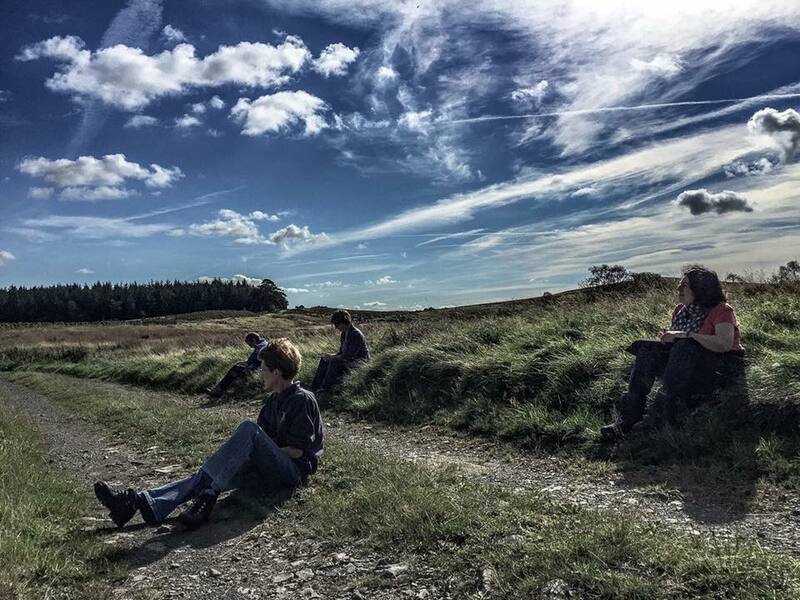 It’s a good county to be writing poetry in with lots of events such as the recent Kendal Poetry Festival (September 2018) and many different writing groups on the go. I feel a bit lucky to be included, as I’m not quite sure if I deserve the label ‘Cumbrian poet’. I have lived and worked here for 37 years and have walked almost every fell top and every valley, and I love every aspect of it. I feel privileged to live here. And yet my roots are in Scotland, and that is where I return, and where many of my poems are set. Looking through my notebook of poetry drafts, I found several that captured Cumbria in some way, and I decided to develop a poem scribbled in the cafe at Sizergh Castle. This is a special place to me; over my three years of living with ovarian cancer, Iain and I have come here to ‘centre ourselves’. The coffee is good, the scones are the best in the area, you can look out on some beautiful trees through the changes of the seasons, and there is a huge variety of walks of varying length which have helped me maintain my fitness during some of the tougher phases. Sometimes my walks are long, sometimes they are short. But I can gain some height, look out at the Lakeland Fells from Helsington, for example, and feel good about myself. If you ever go to the National Trust’s Sizergh Castle Cafe on Fridays, you’ll see an enthusiastic ‘knit and natter’ group. They became the focus of my poem. I wondered what the women (because it is exclusively women!) talked about. As I wrote, I became aware that poetry is really very like knitting – we cast on, cast off, stitch together, make patterns and shapes. There is rhythm to both poetry and knitting, and a sense of something handed down through generations. 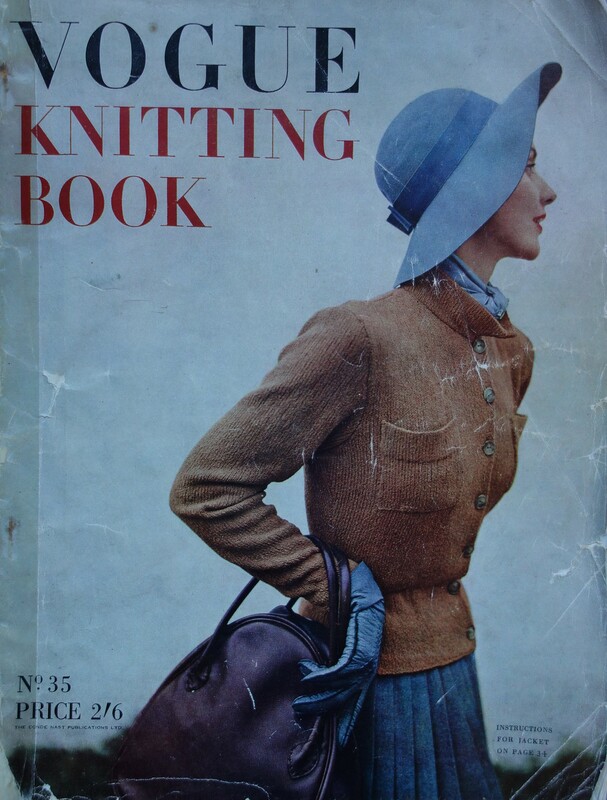 A few years ago my mother-in-law, who is now approaching her 103rd birthday, gave me a Vogue Knitting magazine ‘in case I might like to try some of the patterns’. I think it was bought when she moved to Kendal in the late 1940s. I didn’t try any of the patterns, but I entered a different and exclusively female world where women with the trimmest of waists posed in front of large country houses modelling dolman cardigans, two-tone flecks, giant cables and diamond designs. 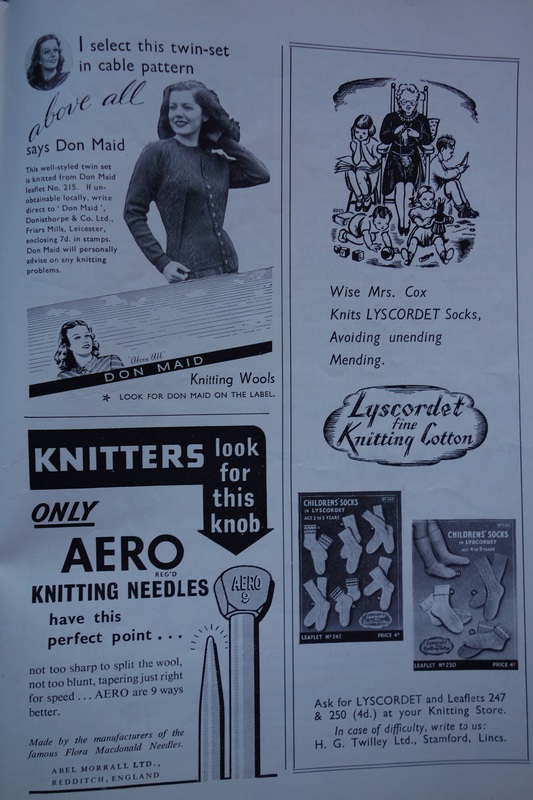 There are even patterns for a ‘blouse with box pleats’ , ‘evening wraps’, ‘golliwog twinsets’ and of course ‘sturdy knitwear for men’. I am old enough to have been a knitter – my mother was, and I knitted too in my teens and early twenties. And there was that rite of passage when we knitted a pullover for the first man in our lives – I remember that mine came out too big, and I was dedicated enough to rip it all down and start again. He wore it for years! My poem in ‘This Place I Know’, entitled ‘In Over Through Off’ explores the whole notion of ‘knit and natter’ in this lovely place, and knits in some ‘found poetry’ from the musical language of the Vogue Knitting advertisements. 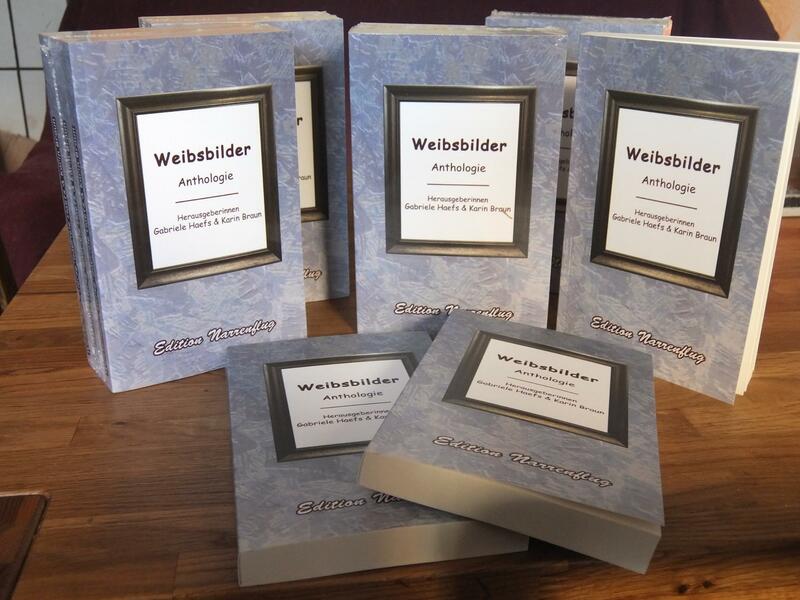 The editors have knitted together a fantastic anthology. This Place I Know is available from bookshops or can be ordered online A great Christmas present for those who love the Lakes. And with that I’ll cast off for today. But there might be more poems coming about knitting. No actual knitting though …. I’ve needed a summer break – a chance to reflect on the ups and down of the last year since my cancer diagnosis, and to consider new projects. I feel very well and apparently look great on my treatment, but I’m constantly monitored and checked, which inevitably makes me edgy. However, I’ve worked out the best way forward is to Keep Calm and Be Normal. Going out and doing stuff with others and having a project or two helps me forget for increasingly long periods what happened. Onwards! Sometimes a special time comes along and all your interests and ideas converge, and this past weekend has been just like that. Geraldine Green, Writer in Residence at Brantwood, Coniston, who also runs writers’ workshops at a local Cumbrian farmhouse, says it is ‘full moon magic’. 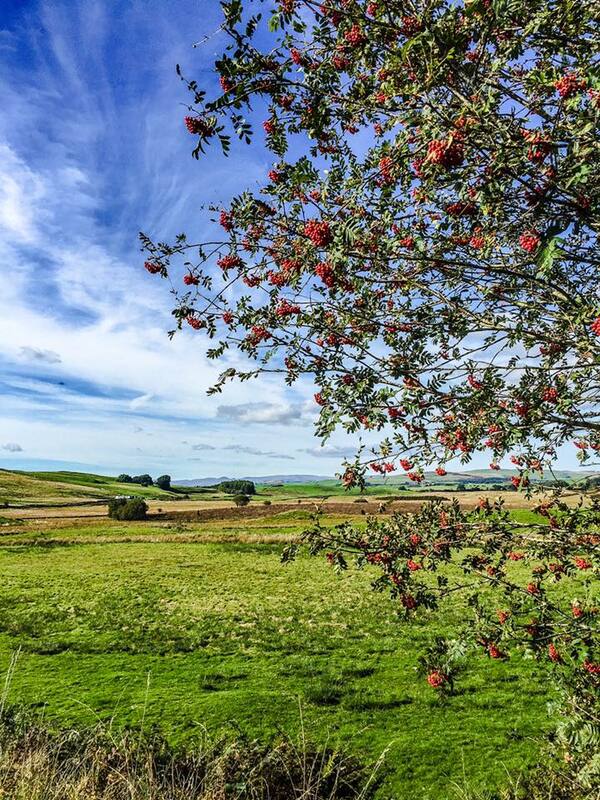 On the day after the full moon, the sun shone for us for the above the Lune valley, lighting up this year’s particularly prolific rowan berries and plump blackberries in the hedgerows. Among other things, we wrote to prompts on memories and fruit using Marsha de la O’s ‘UnderThe Lemon Tree’. 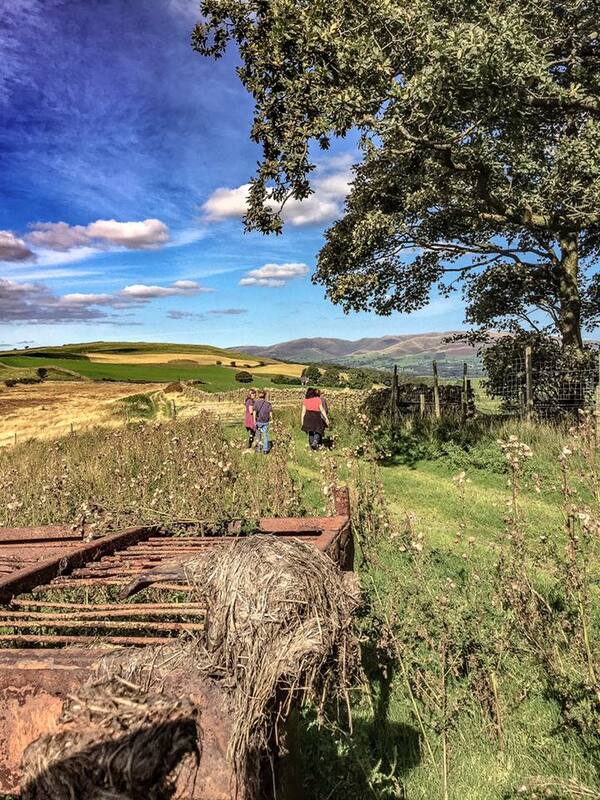 In the afternoon we wandered out with ‘The Earth is a Living thing’ by Lucille Clifton; the path took us on to the hills overlooking the Lune Valley to pause, contemplate and write. There were more riches for me the following day at a Harps North West workshop. 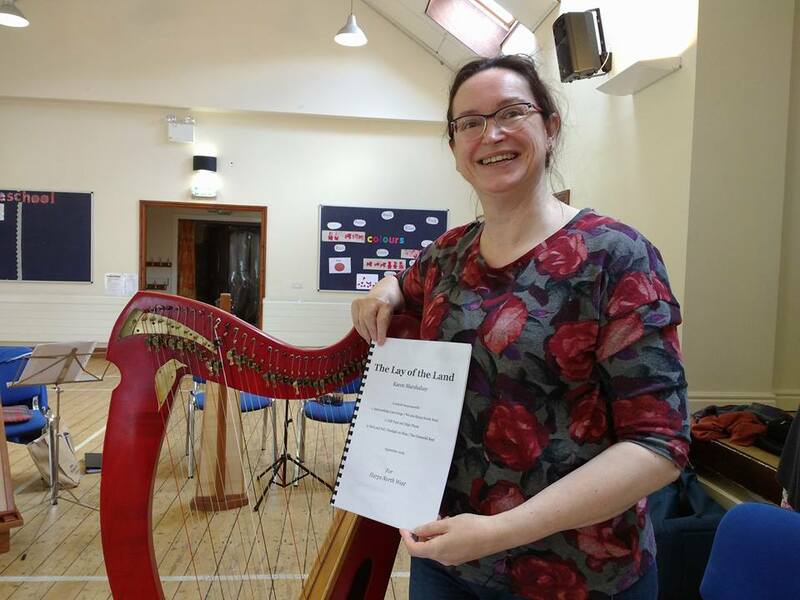 Over the past year our composer in residence, Karen Marshalsay, has been working with us on a suite of music specially written for Harps North West – all ability levels will be able to join in, and the idea is that the music will reflect who we are and the landscape in which we live. We have had two workshops in February and June where Karen has tried out her ideas for melodies and taught us some interesting techniques such as bee’s plaits, finger plaits, shoogly finger and gurgly two handed variations. We now have the finished piece. It has been fascinating to share in the creative process over a long period and to see that it is very much like writing a poem – the ideas and themes, the refrains, the motifs. And then there’s the putting away of a work and letting it bubble and marinate, the taking it out and reshaping until it finds its final form. 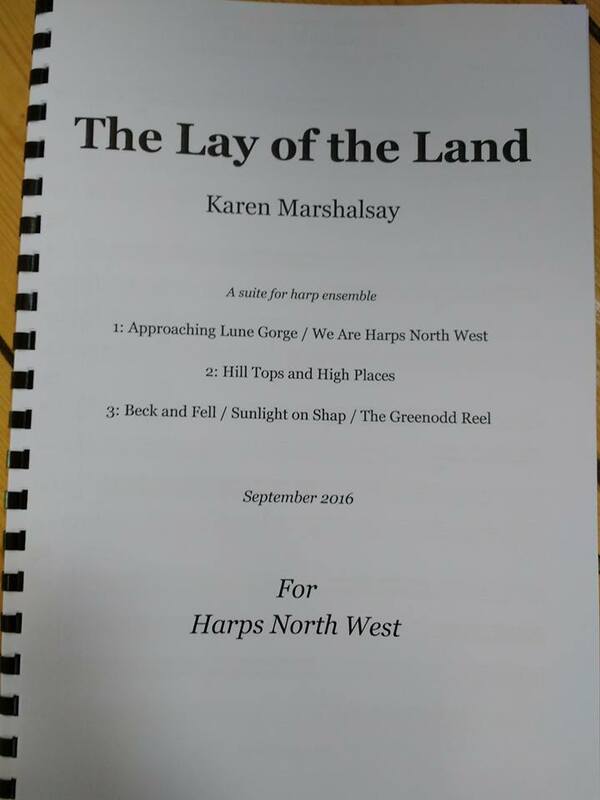 Karen’s finished suite is entitled ‘The lay of the land’ and her opening section ‘Approaching Lune Gorge’ is about that landscape in which the poets walked on Saturday. Karen said that getting to know the landscape over the year and in different seasons helped her round the finished piece. The lay of the land for me is somewhat different from what it was a year ago. During the year of my illness and recovery, copies of ‘Shifting Sands’, my book of short stories, have sold well, and I’d like to thank everyone for all the positive comments I’ve received. 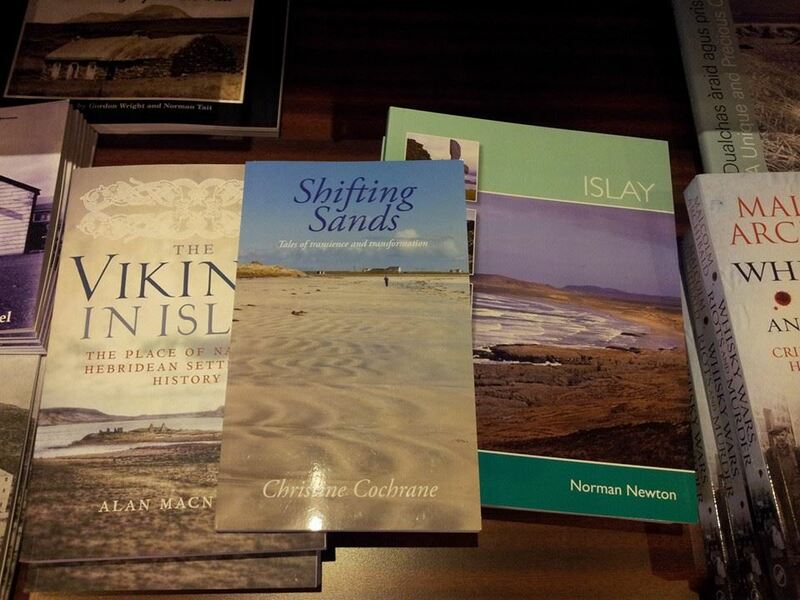 I’m delighted to say you can now even buy it on the shops on CalMac Ferries, so check it out over a CalMac cooked breakfast the next time you are sailing to the Hebrides. But now it’s time for a new challenge. 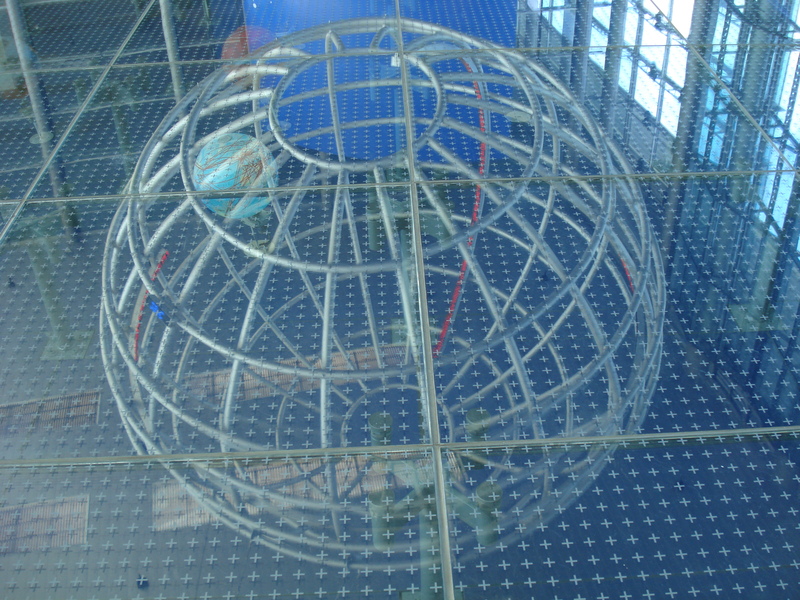 I’ve been offered a place on the Open University’s new MA in Creative Writing, and I’m excited to be starting soon. Initially I thought I would major in fiction, but lately I’ve been pulled in more by poetry and its connection with music, and this past weekend has underlined that choosing poetry as my main genre will be my way forward. I have some new ideas, and among other things I will be doing a workshop with Geraldine in February on connections between harp and poetry. 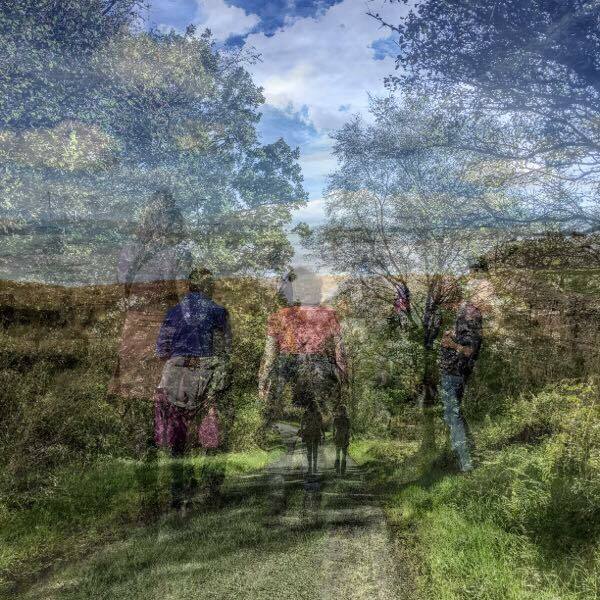 Thanks go to Geraldine and all who contributed to the poetry day, particularly Jane Moss-Luffrum for letting me use her wonderful photographs on the blog. Thanks also go to Karen and all at Harps North West for all the fine music we make together. Following on from our teamwork on the great NaPoWriMo challenge in April, Divyam and I were invited to write a blog for Bec Evans at Write Track on Targets and Teamwork. Follow the links and enjoy Divyam’s wonderful cartoons! So I faced my three biggest fears – hospitals, cancer and chemotherapy. As with most things, the reality has not been as bad as the anticipation. I have a fantastic medical team supporting me and the care I have received in hospital has been first class. I’ve had some dark moments, but I’ve also learned the power of positive thinking, and sometimes the nurses have said just the right thing at the right time to keep me going. There’s been a bit of humour and a bit of banter, and it’s all helped. A week ago I had my first round of chemotherapy, and after a few days of tiredness and other symptoms I am finally feeling just a little bit better than I have done for the past two months. So the magic potions must be working. After three rounds I will be reviewed for surgery, which could take place at the end of January if all goes well. And after the surgery there will be three more rounds of chemotherapy. I now feel surprisingly content, even with Storm Desmond rattling the windows and the rain hammering on the roof. I am ill, but I have had two months of cherishing my relationships with others, of enjoying people’s visits, emails and Facebook messages, of experiencing great kindness and many offers of help. I’d like to thank everyone who has been there for me through this difficult time, as well as all those of you who have supported me on the long journey to the publication of the book. Getting the book on the road! We’re nearly there! The final few weeks leading up to the publication of my short story collection have been difficult to say the least. I have had to grapple with a surprise cancer diagnosis and the knowledge that I will be having treatment that will last quite a long time. But I will keep positive and keep writing! My illness has slightly held me up on the publication date, but I’m still hoping that it will be out by the end of this month. 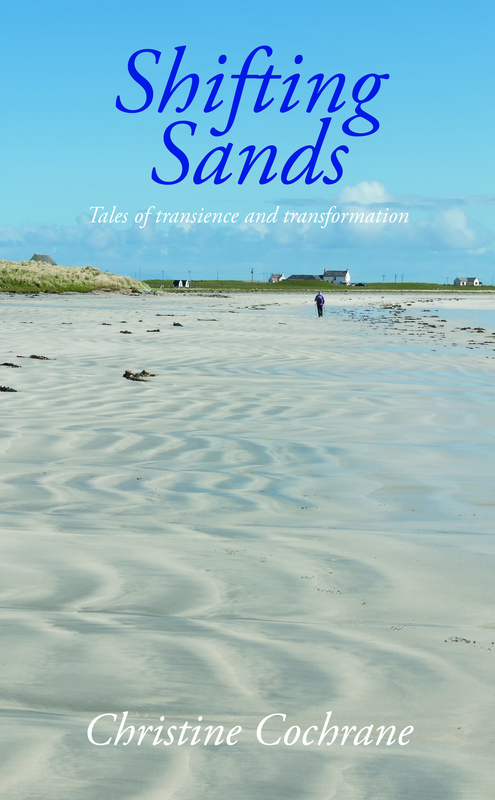 Shifting Sands: Tales of Transience and Transformation will be available on Amazon and on the publisher’s website, http://www.lumphananpress.co.uk. It’s two years since I started my writer’s blog – huge thanks to all of you who have stayed with me, followed me and encouraged me over the past two years. It has been much appreciated! A lot has happened. 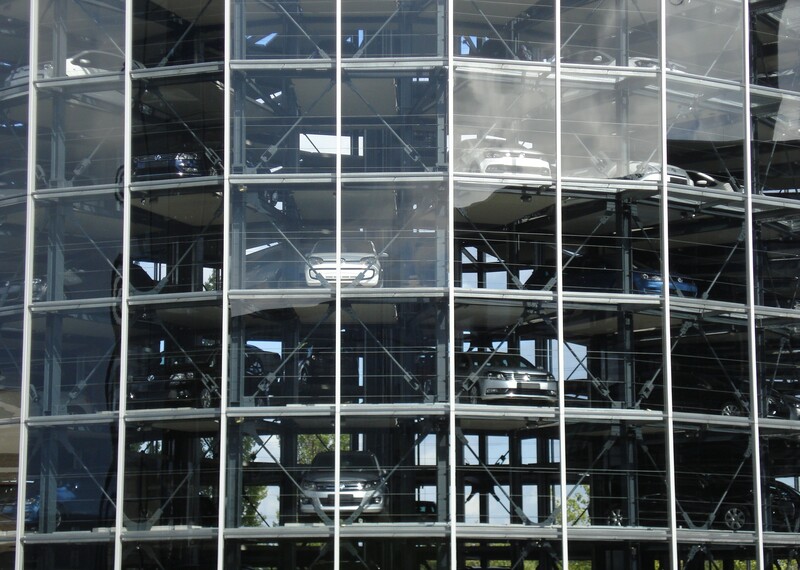 My first post in September 2013 was about a visit to VW in Wolfsburg, a sparkling, perfect world of pristine production lines and workers dressed in white. Hmm. Things have certainly changed there. They’ve changed and developed for me too – but in a good way! I’ve learned a lot, completed quite a few stories and poems on a variety of themes, and met and shared ideas with some great people along the way. I’m probably a bit nearer to realising I prefer short pieces, but I haven’t ruled out The Novel at some stage in the future. The good news is that I’ll be celebrating two years of the blog by (finally!) publishing some of my stories in English. There were a few catalysts. Mslexia rejigged their website, withdrawing competition winners’ stories, including my ‘Shifting Sands’. 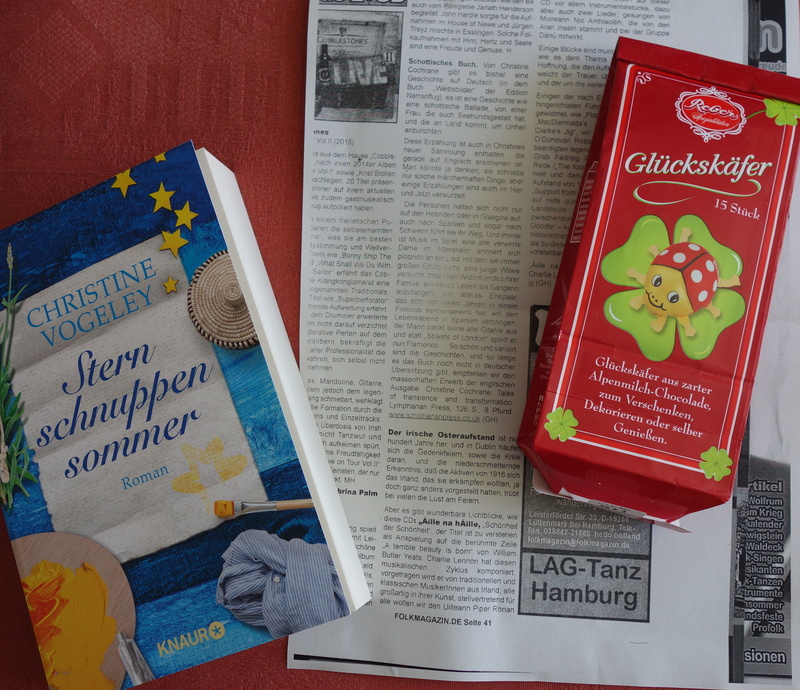 This meant the German version of ‘Shifting Sands’, published by Edition Narrenflug in Kiel, was out there to read, but not the English one. Not logical. Then Edition Narrenflug asked me for a ‘long short story’ for a future German anthology. This finally gave me the impetus to complete the story version of ‘Ships That Pass’, a radio play I had done for my OU course, over the summer. It had been ‘resting’ for a while, so I seized the opportunity to be re-inspired, added a few new angles and produced a long short story or a short novella in English and German. This gave me a substantial story to add to a few others from my OU course. My work will be coming off the production line in November. And they’re all good, honest stories! I’ve been working with Lumphanan Press, Scotland on the collection entitled ‘Shifting Sands’ about life’s surprises and gear shifts. We’ve done the cover design and discussed the layout, and I’ll be letting you know a little more about the stories in the next few weeks. It will be out before the end of the year in book and Kindle format.